Few casino games can offer a more thrilling experience than roulette does. This game of chance has long been associated with sophistication and is one of the most popular and preferred gaming options among landbased casino goers and online players alike. The game offers high energy and a dynamic pace but what further contributes to its great success on casino floors is its simplicity – roulette is based on pure chance so there is no way of predicting the outcome of the tosses of the ball. Generally speaking, the only decision roulette players are expected to make is how much to wager per round and what bets to make. Living in the 21st century comes with the advantage of being able to enjoy this sophisticated casino staple from the comfort of your surroundings. The game of roulette is available at an impressive number of online casinos where players get to make real-money bets and choose from many different roulette variations, traditional as well as less conventional ones. Furthermore, most of these reputable interactive casinos have been adapted for widespread mobile devices, allowing players to make a few outside or inside bets from all places where a steady Internet connection is available – during lunch break in the park, on the bus, or while waiting for a friend at the restaurant. Continue reading to learn more about playing roulette on the go and where you can find some of the most enticing roulette variations, available for real-money, mobile play. Some of the most established online casino brands in this industry provide roulette fans, interested in enjoying their favorite game on the move, with two equally convenient options. The majority of online casinos are fully compatible with portable devices, which enables players to load the websites directly in the browsers of their tablets and smartphones. In many instances, it is also possible to download and install the casino’s native mobile application on your portable device and load your preferred roulette variation with a few taps on your touch screen. Enjoying roulette directly in the browser of one’s smartphone is the perfect solution for fans of the game who cannot afford to spare free memory space or are simply reluctant to install additional applications on their portable devices. If this is the option you prefer, you simply need to enter the casino’s address in your phone’s browser, in which case you will be automatically redirected to its mobile counterpart. If you are new to the mobile casino, you need to create a real-money account by following a few simple steps and providing your personal and banking details. Do not worry, the information you share is in good hands and well protected as long as you choose a licensed and dependable gambling operator. Those, who already have an account and have played on their desktop computers, will be able to enter the mobile casino, using their existing log-in credentials. Highly regarded mobile casinos provide their players with a quick and easy access to their gaming libraries, promotional offers, and payment options, so practically you have everything you need to play roulette for real money right there in the palm of your hand. 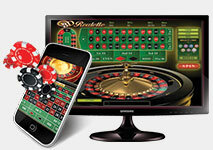 It is important to mention in-browser many mobile casinos utilize either the Adobe Flash player or the Java technology. To ensure your preferred roulette variant will run seamlessly on your phone or tablet, you should install the latest version of the Flash player. The games on offer, roulette included, are adapted for a nice range of mobile operating systems, such as the popular iOS, and Android. 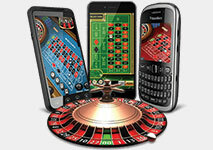 Blackberry and Windows Phone users are by no means shunned from experiencing the thrill of playing roulette on the move – many mobile casinos have already dropped the Adobe Flash technology and have transitioned to the universal HTML5 mark-up language which is compatible with a wider range of portable devices. Some roulette fans prefer to bet via the native mobile applications of their preferred mobile casinos because of the improved performance. There are several ways to go about this. Apple users can simply visit the App Store, input the name of the casino in the search engine and download its iOS app directly from there. The apps are available for a free download and work on all Apple devices, including the widespread iPads and iPhones. Android users, on the other hand, may fail to find the app of their casino of choice at the Play Store due to Google’s policies of restricting the availability of real-money gambling applications on their platform. However, this is hardly a problem for players because they can usually download the Android application directly from the website of the casino. In some instances, mobile players are required to scan the QR code at the website’s mobile page in order to initiate the app download. Sometimes, players may also be asked to provide a valid mobile phone number as well as their location. When this information is submitted, the casino will send the download link for the app. Occasionally, the links for the native apps are sent via email but it all depends on which mobile casino you have opened an account with. Many players prefer the downloadable mobile software because it usually offers a wider game selection, a greater number of user preferences, better visuals, and improved audio performance. The question that arises in the minds of less experienced mobile players is whether the mobile roulette variations differ from their desktop cousins, and if so, to what extent. The answer is no, both mobile and desktop games look the same way, at least for the most part. It makes sense that the roulette table and its betting section will be smaller to fit the screens of portable devices. The games’ layout may appear different in order to accommodate the specifics of portable devices. Players will then see the available chip denominations positioned either below the betting layout or next to it. With some mobile variants of the game, the betting section originally covers the entire screen of the phone – once players place their chips in the corresponding box of the layout and tap the Spin button, the betting grid is replaced by the spinning roulette wheel so you can see the outcome. In other words, players are often unable to see the wheel and the betting grid at the same time. This is to be explained with the limited space on the smaller screens of smartphones but thanks to the Zoom functionality, mobile roulette is just as exciting and immersive as its desktop counterpart. This feature is activated either by two taps on the screen or by sliding your fingers outward. Roulette fans can adjust the size of their bets by scrolling through the available chip denominations. Betting is easy as pie via mobile devices since you only need to tap the respective box on the layout to position your chips there. The amount won is displayed on the screen after each bet. With some variations, such as Playtech’s mobile Premium Roulette, the table coverage of each bet you make on the go is displayed below the wheel. Other useful functionalities mobile and desktop roulette variations share are the round history with results on previous bets, the Re-bet function, and the Autoplay feature, which is activated by holding the Spin button for a bit longer. Many mobile-compatible roulette games also feature the racetrack and allow for more exotic bets like Orphelins, Tiers du Cylindre, and Voisins du Zero. All in all, if you have engaged in roulette from the comfort of your home via your desktop computer, you will hardly experience issues when playing the game while on the go. One important thing to mention is that smartphone players are recommended to turn their devices into a landscape, horizontal position. Sometimes the game itself prompts players to do so before it starts. Those, who intend to use their tablets are not required to do this but need to press the unlock button to transition from portrait to landscape mode, instead. Regardless of whether you are betting via a smartphone or a tablet, you are guaranteed to enjoy vibrant, clear visuals because software developers have invested lots of time and efforts in adapting their roulette offerings for mobile play. With literally hundreds of mobile casinos to choose from, fans of this classic game of chance often find it difficult to decide which gambling website to register and play real-money roulette at. Finding a trustworthy and fair mobile gambling operator is essential if you wish to enjoy your roulette betting session to the fullest, without any hassles and glitches. To assist roulette players in deciding, we have selected five of the best mobile casinos where the game is available for iOS, Android, and Windows Phone play. Our selection is based on several key criteria such as withdrawal speed, security, customer service, promotional offers, transparency, and the quality of the software. More importantly, the mobile casinos listed below offer a good range of premium roulette games which floor fans of this enticing game with visual quality, great sounds, and simplified interface. With twenty years of experience in the online gambling industry, 888 has successfully established itself as a brand known for its reliability, safety, and fair treatment of players. Roulette fans, interested in placing a few outside bets on the move, are provided with the fantastic opportunity to select from several top-notch variants of the game, namely French, European, and American Roulette. More risk-averse players can join the fun with Low Stakes Roulette, which is considered a suitable option for those with a limited budget. All these roulette variants run seamlessly on portable devices, based on iOS and Android. In addition, 888casino provides its players with friendly customer support around the clock via its live chat facility. Newcomers are welcomed with a great No-Deposit bonus of up to $888 but there is also a generous Welcome Bonus package of up to $1,500 on players’ first five deposits. You can rest assured your payments will be processed in compliance with the highest security standards possible via reliable and convenient payment solutions. The casino’s integrity and dependability are further cemented by the licenses it has received from the exacting UK and Gibraltar Gambling Commissions. William Hill is truly a frontrunner in the gambling industry, with a long history which can be traced back to the 1930s. The company started out with a single sports betting shop to expand into one of the biggest gambling operators on the planet, with an exhaustive range of products and offerings, including virtual and live dealer casinos, an online sportsbook, bingo and poker rooms. The online gambling giant caters to the needs of all players, and roulette fans are not an exception. Apart from the diverse range of first-rate video slots and video poker games available, the online casino offers a wealth of options to table game enthusiasts. There are numerous blackjack, craps, baccarat and poker variants, while those, interested in roulette, in particular, will be able to enjoy authentic games like French, American, and European Roulette as well as Multi-Wheel Roulette, NewAR Roulette, Penny and Club Roulette. Some of these variants can be played on the go as the mobile casino runs smoothly on Windows Phone, Android, and iOS. The software is provided by highly respected suppliers the likes of Playtech, NetEnt, and Evolution Gaming. New players will benefit from a fantastic 100% Deposit Bonus up to $300. Players who deposit at William Hill can feel safe in the knowledge their payments are processed in the safest manner possible. What is more, there are plenty of widespread payment solutions to choose from so it matters not whether you prefer credit/debit cards, e-wallets, online banking, or prepaid cards – you will find an option that fits your needs. William Hill is fully licensed and regulated as it bears the stamp of approval of the prestigious Gibraltar and UK Gambling Commissions – a sure proof of reliability, security, and fairness. Gambling enthusiasts can experience a pleasant, friendly casino atmosphere at the reputable Eurogrand Casino, an atmosphere that would completely remove them from the ordinary, with a comprehensive range of quality slots, video poker, and classic table games like blackjack, Casino Hold’em, baccarat, and roulette. The website also offers a live casino where players get to experience the bespoke feel of the landbased casino floor while helpful and attentive dealers ensure their gaming session runs as smoothly as possible. If you are interested in placing a few bets on roulette from the comfort of your surroundings, Eurogrand provides you with two equally convenient options. You can either run the available mobile games directly in your phone’s browser as the casino is mobile responsive or opt for installing the iOS app if you are an Apple user. Your options include Premium and European Roulette, among others. There are plenty of other perks awaiting those who register at Eurogrand, including generous welcome bonuses, a plethora of ongoing promotional offers, a long list of secure and efficient payment methods, and round-the-clock customer support via live chat and email. Gala Casino was launched back in 2008 with the sole purpose of providing casino enthusiasts the world over with a seamless, high-quality gambling experience like no other. The casino operates as part of the renowned Gala Coral Group and has obtained its license from the jurisdictions of Gibraltar and the United Kingdom. The options range from lucrative progressive slots like NetEnt’s Jackpot Giant, for example, to a broad range of video poker, blackjack, and roulette variants. A live dealer casino is also at players’ disposal where games are hosted by obliging professionals and streamed directly to their desktop computers, tablets or smartphones. Roulette enthusiasts can choose between several great variants of their favorite game of chance, which have been fully adapted for mobile play on iOS, Windows Phone, and Android devices. Premium Roulette, 101 Roulette, and European Roulette are particularly popular among Gala customers. The live-dealer French roulette variant is also available on the go. Additionally, the casino offers an iOS app for a free download. Players will also benefit from the service of a friendly customer support agents, who are always on standby, ready to offer assistance and information. The comprehensive list of flexible and safe payment methods and the numerous promotional offers are also among the advantages of joining the Gala Casino community. Over one million players from different countries have decided in favor of registering at Rich Casino and there is a good reason why – the gambling operator has 17 years of experience in this industry and knows how to meet the expectations even of the most fastidious gambling enthusiasts. Players have software leaders NetEnt, Betsoft and Pragmatic Play to thank for the superior quality of the games. A live casino offering is also available. 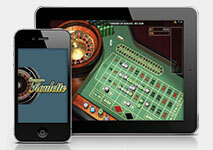 The casino is fully mobile responsive with players having the option to load the games directly in their browsers. It is possible to indulge in less conventional variants of roulette on the go, including Crystal Roulette, Roulette Titanium, and Roulette Black Diamond, but staples like European Roulette are also at your disposal. The website has been optimized for mobile play on iOS, Windows, and Android. The casino is available in English, Spanish, French and Italian and supports several widespread currencies. Deposits are processed conveniently via secure methods like credit/debit cards, e-wallets like Neteller and Skrill, and prepaid solutions like Paysafecard. Withdrawals are exceptionally time-efficient and hassle-free but if you experience any issues or are wondering about something, feel free to contact Rich Casino’s 24/7 customer support – the agents will respond to your query in next to no time.